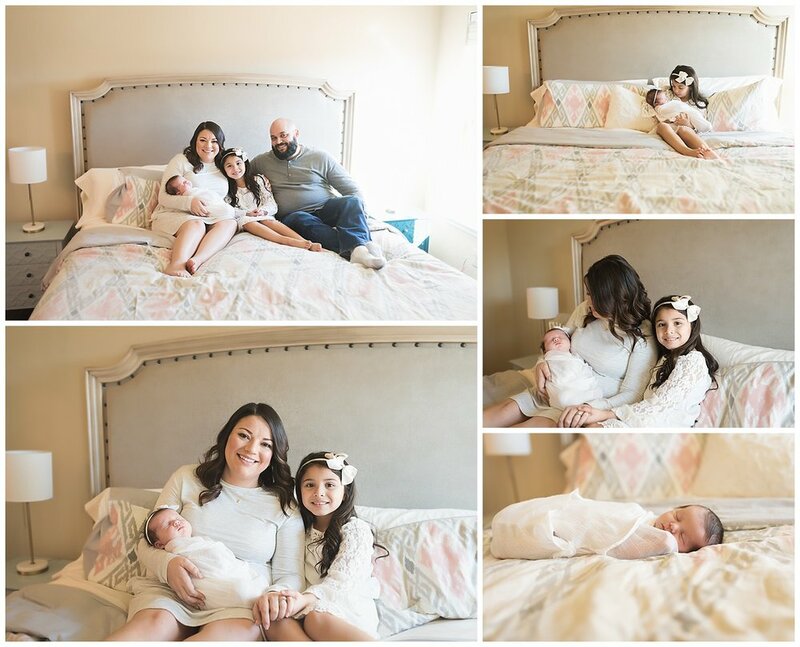 Posed newborn session in Tulsa, Oklahoma with Full Feather Photography. Baby girl, 12 days old. I am so thankful for yet another family that booked a newborn lifestyle session with me because they are my FAVORITE! Every year that I grow in my business, I learn more about myself and what calls to me. Newborn lifestyle sessions are definitely my jam and my goal this year is to start trimming out the sessions that I don't love to do so I can save room in my calendar for all the things I love to photograph! Babies, brides, and families seem to always fall into my "want to do" list. Baby Evelyn was THE best when I came over! Amanda was totally prepared (she makes mom-ing look easy..share your tips on doing life, lady!) and I arrived to their house with everyone low key and happy. I don't think my family is like that on normal days! Haha! Those happy, laid back vibes carried on throughout the session and Evelyn was totally content with us wrapping her up and putting cute bows and tiebacks on her. Big sister was such a great helper and so patient! I think I may need her as my assistant for every session! 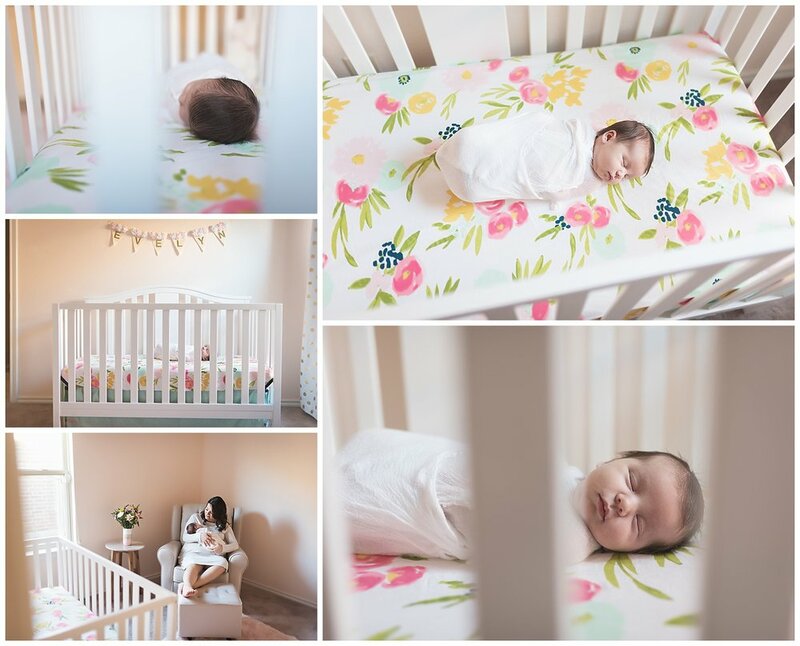 Amanda designed the nursery to have that same soft, laid back feel that seems to be the theme of their family. The walls are a quintessential pale pink and the curtains and crib bedding provide the perfect amount of color pop. I was envious of her gorgeous rocking chair. I imagine it'll get lots of use in the months to come! Thank you, Thompson family, for allowing me in your space to capture your sweet family welcoming your newest member! I can't wait to watch that sweet baby grow up to be just as beautiful as her big sis and her momma!